For winning his second Driver’s Title in DTM, BMW gifted driver Marco Wittmann a Java Green BMW M4 Competition Package, fully decked out in M Performance gear. It was a very exciting looking car and one that we wouldn’t exactly call inconspicuous. Still, Wittmann was a fan. It is one of the more interesting looking M4s we’ve ever seen. 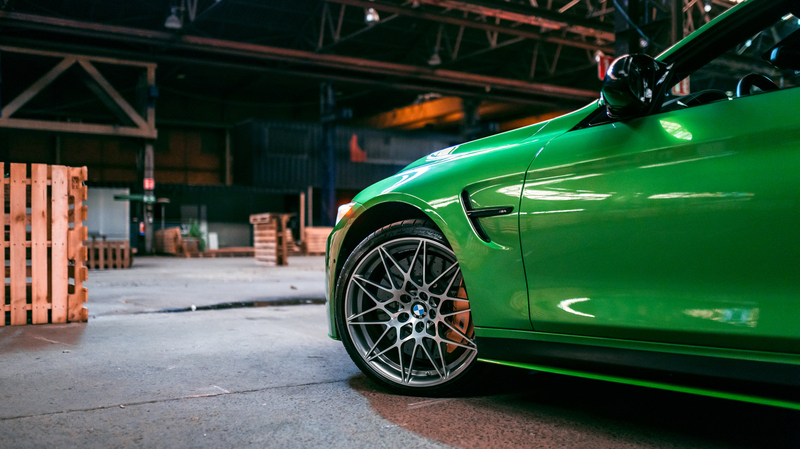 The Java Green paint isn’t something we’d want on our cars but it actually works for the M4. What works even more are the contrast black and carbon fiber bits, both of which heavily adorn the M4 Competition Package. It gets carbon fiber bits in the front air intakes, side skirts and a pretty large fixed rear wing. The latter of which is the same one that was offered on the Spanish market-only BMW M4 CS edition, before the actual BMW M4 CS debuted worldwide. All of the carbon fiber body work creates a really nice contrast to the bright green paintwork and it looks really quite good. Aside from that, Wittmann’s M4 is still a standard BMW M4 Competition Package. So it still gets the 3.0 liter twin-turbocharged inline-six that makes 444 hp and 406 lb-ft of torque. According to BMW, the M4 Competition Package can get from 0-60 mph in under four seconds and that’s entirely believable. It’s a seriously fast car. And this one comes with the added prestige that it’s been owned by racing driver Marco Wittmann. It even has his name written on the carbon fiber strut brace under the hood. 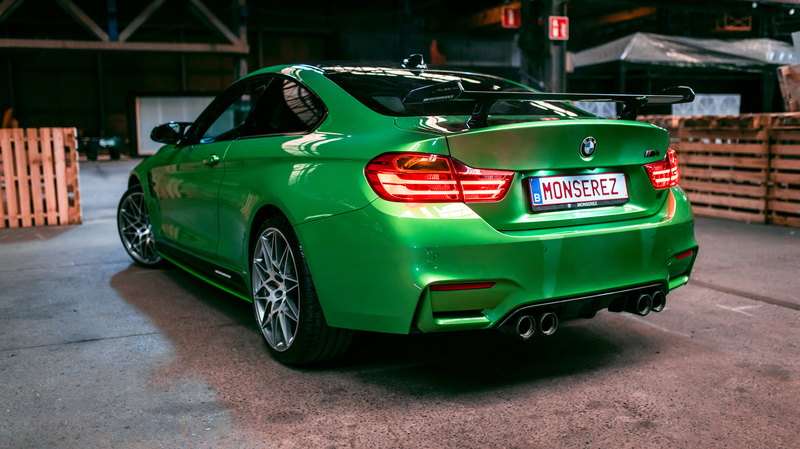 Check out this gallery of the stunning BMW M4 Competition Package made specifically for pro racing driver Marco Wittmann.